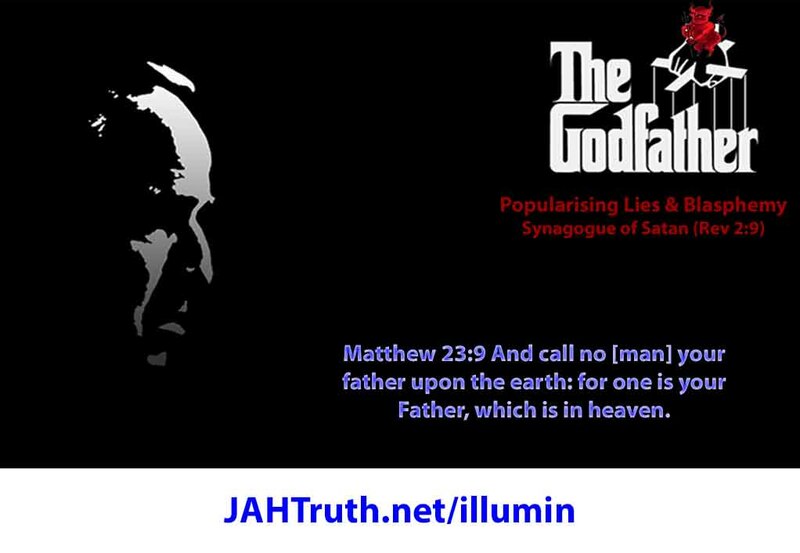 The Synagogue of Satan; counterfeit Jews (Rev 2:9) JAHTruth.net/illumin, are the real core of the Mafia, and they use Hollywood, which they own, to present it as Sicilian Italian, as they do with so many other lies and blasphemies. John 11:48 If we let him thus alone, all [men] will believe him: and the Romans shall come and take away both our place and nation. 15:11 But the chief priests moved the people, that he should rather release Son of Abba (Father) unto them. And they were together again in Italy at the time of the formation of the Mafia, and the Synagogue of Satan now controls the Vatican, because the black pope; Jesuit General, is the real power behind the white (dressed) pope, who also blasphemously calls himself the Holy ‘Father’, and the Jesuits were founded by the counterfeit Jew Ignatius Loyola.